His name was Kunta Kinte. Kidnapped from Africa and enslaved in America in 1767, he refused to accept his slave name of Toby. Heirs kept his heroic defiance alive, whispering the name of Kunta Kinte from one generation to the next until it reached a young boy growing up in Tennessee. His name was Alex Haley. And he proclaimed Kunta Kinte's name to the world. Download Roots in Digital HD from the iTunes store. Roots images are © 20th Century Fox. All Rights Reserved. "My name is Kunta Kinte". I had just turned six years old when Roots became a television event so, even though I had never seen it, I knew what that phrase meant. For almost forty years it meant courage, spirit and hope for an entire race of people. 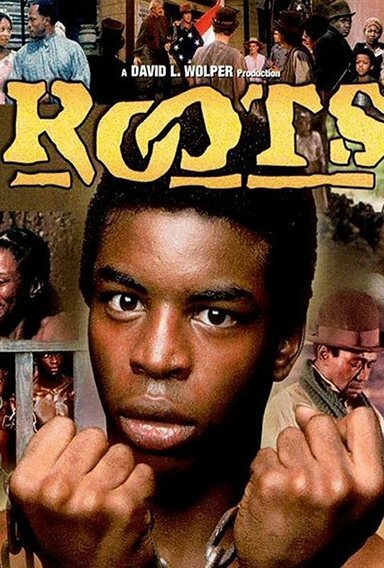 And now, as the History Channel airs a retelling of Alex Haely's classic novel, Roots, the original has been remastered and released on Blu-ray. Kunta Kinta was a free, African man living with his family on the land near the Gambian river. Having just become a man in his culture, he was enjoying his new status when he suddenly was kidnapped by white men who sold him off to be taken to America and live as a slave to wealthy plantation owners. Enduring years of torture and the removal of half his foot, he never forgot his freedom and where he came from and passed that spirit on to generations of his offspring. Through several generations of slaves, we see their suffering, as they hear the story of their ancestor and his people in Africa. Everything about Roots was epic. It ran for twelve hours over 8 nights and brought in record ratings, some of which still hold to this day. It sparked a conversation during a time when the country was just coming down from decades of racial tension. It showed white Americans what an injustice had been done to the Blacks and it gave Blacks a stronger voice and sense of identity. 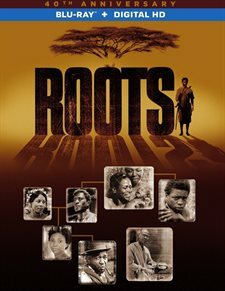 Besides a beautiful screenplay, Roots boasted a star-studded cast including Ed Anser (Lou Grant), Lorne Greene (Bonanza), Robert Reed (Brady Bunch), John Amos (Good Times), Marge Sinclair (Coming To America), Ben Vereen (All That Jazz), Louis Gossett Jr. (An Officer and a Gentleman), Leslie Uggams (Deadpool) and Olivia Cole (North and South). The mini series also introduced the world to a then 19 year old College Sophomore named LeVar Burton, in his first television appearance as the African Kunta Kinte. I can understand why A&E and The History Channel felt the need to remake it. While Roots was brilliant in 1977, unfortunately, it is dated. The blood oozing from the slaves' skin is fire engine red and looks incredibly fake. The sets and costumes were top notch for their time, but can't touch the rich materials and fabrics used in the remake. The cruelty and violence depicted in the series, I suspect, are a fraction of what actual slaves endured in the Deep South before the Civil War. The 1080p high definition video is sharp on this remastered show but that isn't necessarily a good thing. The makeup, which was state of the art at the time, seems amateurish compared with what is done in films and TV today. The DTS-HD Master Audio 2.0 is very good considering what there was to work with, but the full orchestration of the theme music comes through beautifully and is robust. The extras on the Blu-ray are a mixed bag. Some featurettes discuss the cast, the impact the series had on society and the black community and how the network felt about the show before it aired. Most of that fodder is boring and inane. However, the longest two featurettes truly stand out as unique and interesting. The first is a television interview between host David Frost and Author Alex Haley. Haley is engaging and interesting and captivates the audience with his stories of the journey to research and write this masterpiece. The second is a look at Roots one year later with sections devoted to Haley's return to the Kinte Village, his visit with LeVar Burton to the plantation where Kunta Kinte died, and a fascinating section of Murray family descendants, both Black and White, have a picnic and church service. Roots is a fascinating look at one man's family history through seven generations of slavery and freedom. It changed the culture in America and captivated audiences around the world. If you choose to see the remake, I suggest watching the original first. It is gripping, moving, sad, encouraging and fantastic all at the same time. It is most definitely worth 12 hours of your time. Buy the Blu-ray. You won't regret it. For more reviews please visit our film/television review section. To select a favorite film or television show you must first log into your FlickDirect Account. Please click here to log in, or click here to register for a free account.